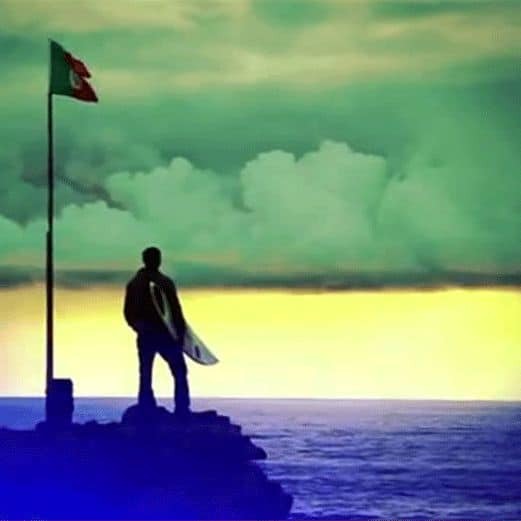 Learn how to surf in Portugal and enjoy comfortable accomodation, pool and ocean view. Yoga on the terrace with great views. Start into the day refreshed with a healthy organic breakfast, enjoy a packed lunch at the beach or a barbeque in the evening whilst taking in the view. Enjoy some rounds of golf without missing out on your daily yoga routine! Time off and relax in Portugal! Book now your Yoga & Surf Holidays! 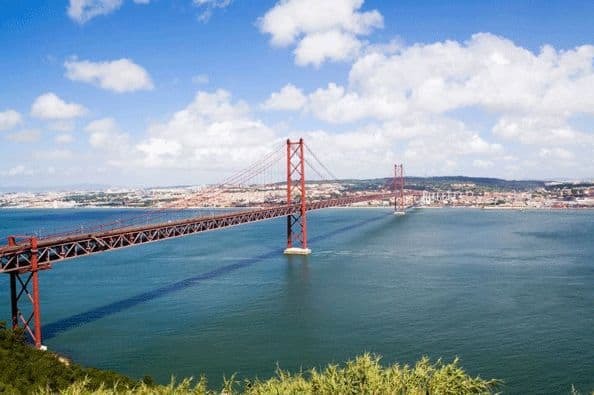 Sightseeing in Lisbon and its surroundings – experience the history and mix with the Portuguese people. 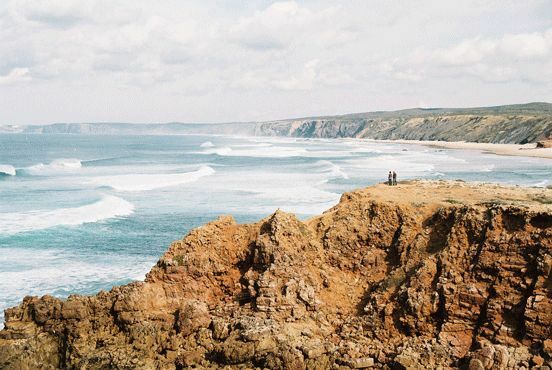 Check out our Yoga & Surf retreat destinations in Portugal! Whether you stay at our beautiful villas with seaview near Lisbon, Cascais and Sintra or at the southwest-tip of Portugal, Algarve, in our Golf-Resort villa between Sagres and Lagos – everywhere you will enjoy the very best healthy food, professional and high quality yoga and surf classes or other outdoor activities, as well as meeting great, relaxed and like-minded people, often becoming friends. Secluded accommodations with breathtaking seaviews, great outdoor adventure possibilities Lisbon and Sintra have on offer. Luxurious villa in top notch golf resort, wild romantic coastline with countless cute beaches, close to spacious natural reserve. 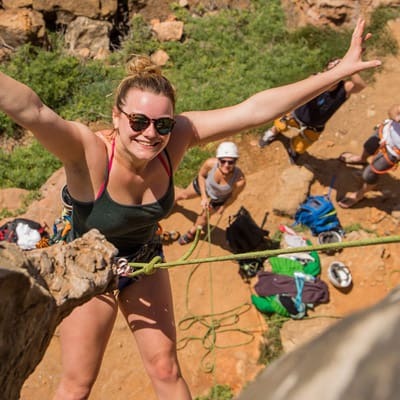 Whatever your favourite outdoor activity during your yoga holidays – surfing, rock climbing, hiking, mountain biking, stand up paddleboarding (SUP),… we got you covered! 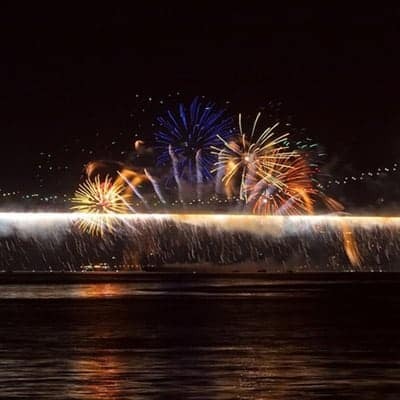 We offer as well discounted packages for group and family bookings and customized packages upon request.. Perfect active surfing & yoga holiday in Portugal! We are organizing child care or surfing lessons for kids. Do yoga in a magical environment full of energy. 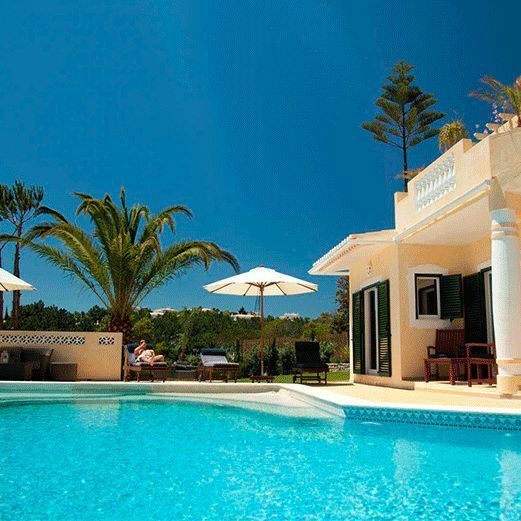 Surfing in Portugal and luxury accommodation with pool & ocean view. 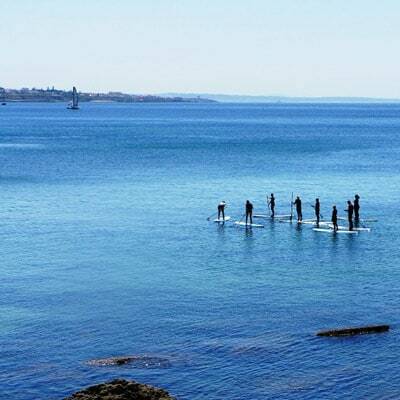 Try SUP (stand up paddleboarding) in combination with Yoga! You will love it! 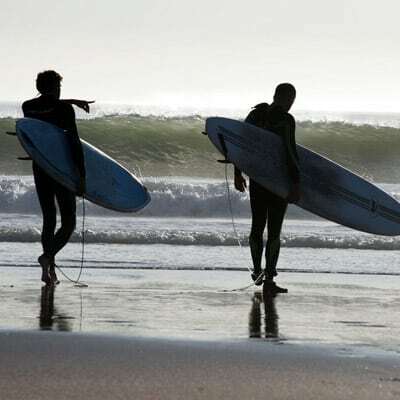 Have our local surf guide show you the best surf spots in the area. Climbing is your passion? Combined with Yoga its an amazing holiday experience. 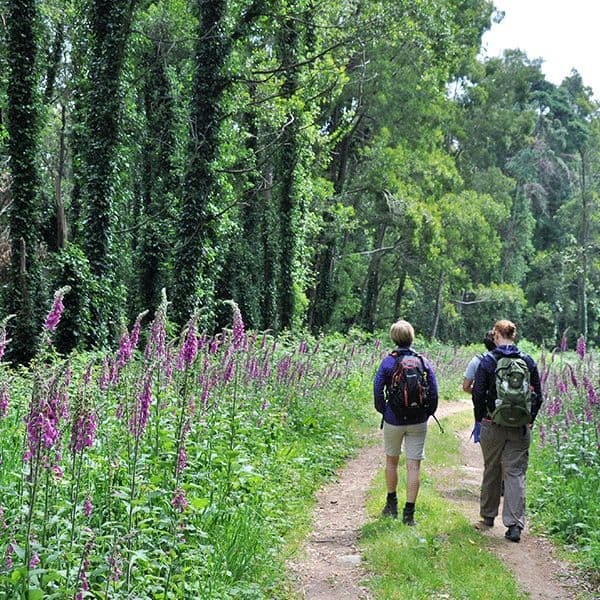 Hiking and Yoga holidays in tune with the nature of the Sintra mountains. 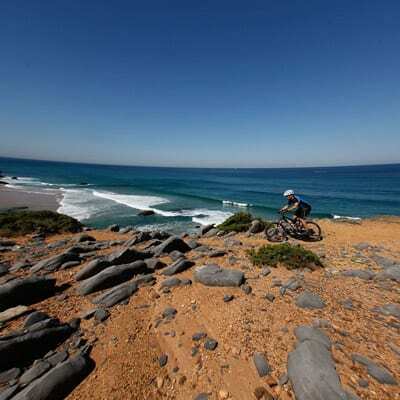 Enjoy a fantastic mountainbike and yoga holidays in Portugal! 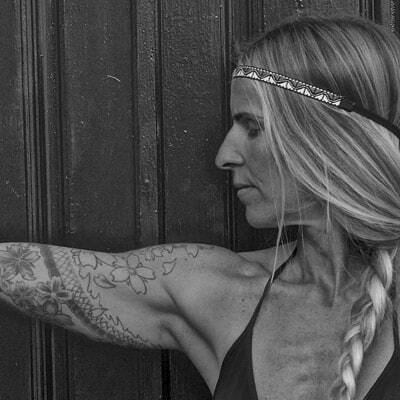 Yoga Teacher Training for all active and future yoga teachers and asana lovers. Join us in south-west Algarve under the palm tree! Get a first impression of the Karma Surf Retreat! Watch the movie now! Luxurious boutique styled villa with great natural garden, yoga deck, sauna, and jacuzzi, directly at the coastline of Praia do Guincho. Explore the Algarve in Portugal’s warm south enjoying the Karma Surf Retreat spirit and comfort!